1917 Mt. 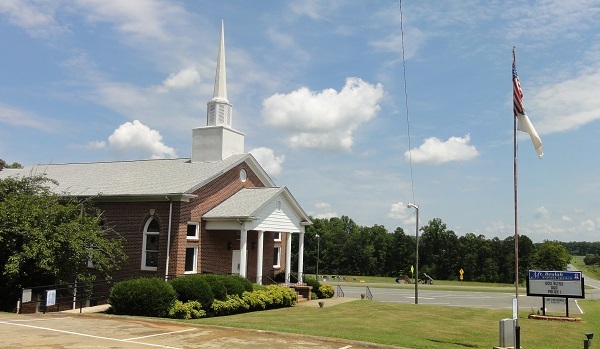 Beulah Baptist Church became a reality after Mr. E.H. Biggerstaff had been dreaming for 15 years of having a church for the people of in this area. It was on a Sunday morning in 1916 that Mr. Biggerstaff discussed this dream with Mr. W.A. Mason. They decided they would make this dream a reality. One Lord's Day morning W.A. Mason, while on his way to his church at Bessemer City, met E.H. Biggerstaff who was driving to his church, Shady Grove. They stopped to talk. Mr. Biggerstaff stated he must move on or be late for service. Mr. Mason expressed a desire to have a Baptist Church nearer home. Mr. Biggerstaff's answer was this question, "Are you the man I've been praying for for the past fifteen years?" They separated, each going his way. On the way from Shady Grove, E.H. Biggerstaff was impressed to stop by the Mason home and accepted an invitation to stay for dinner that they might have a longer time to discuss the matter. This conversation resulted in a visit to Mr. L.A. Barbee, a deacon in Loray Baptist Church, Gastonia, who had recently moved into the neighborhood. After stating their purpose, Mr. Barbee made the following statement: "Brethren, if you mean business, I am with you." He was assured of their sincerity and Mr. Barbee became one of the pillars of the church. Soon a survey showed a list of the Baptist families in favor of the movement. Rev. I.T. Newton, who was then pastor of Dallas Baptist Church, was invited to meet with them for a service at Carolina School House, near the home of Mr. M.F. Payseur. He came. He preached. He found these Baptist ready for organization. A date was set and the church body was effected on September 10, 1916. The constituent membership of the church numbered twenty eight. At this meeting of the presbytery, W.A. Mason and L.A. Barbee were recognized as deacons, by virtue of ordination conferred by other churches. Others ordained to this office were M.F. Payseur, John Neal and E.H. Biggerstaff. In addition to these, the following brethren have served the church in this capacity: S.H. Farris, W.B. Elam, B. H. Carpenter, J. W. Whitesides, W.L. Hasting, together with the present board, consisting of E.S. Fletcher, H.L. Barbee, (son of L.A. Barbee) James Whitesides, (son of J.W. Whitesides) Fred Biggerstaff, (nephew of E.H. Biggerstaff) and E.H. Biggerstaff, chairman who had held this office from the organization of the church. The honor of choosing a name for the new church was given to the oldest member, B.R. Biggerstaff. The name Mt. Beulah was selected. Mr. S.L. Kiser gave the land on which the white frame building was erected with lumber and labor donated by the members. 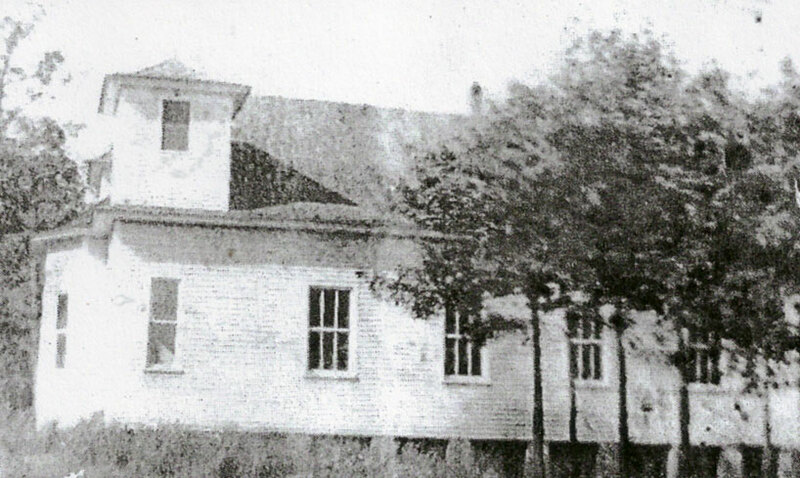 The church was completed in 1917 and seven Sunday School rooms were added in 1929. The first pastor was Rev. I.T. Newton. His salary was $120 per year. 1948 In February, 1946, the building and finance committees shared plans for a new church at a cost of $4,500, which they had in the church treasury. On September 27th, 1946, the church was completely destroyed by fire during the morning service of a revival meeting. Most of the early records were either destroyed by the fire or lost. Most of the information herein was obtained through the help and cooperation of Mrs. Edythe Beam Carpenter. 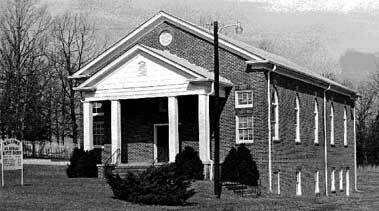 Members met in the Tryon School auditorium until work on the new church began. It was decided that the new church should be closer to the main highway. Mr. Victor Young gave the land for the new church, which is on the site presently used. On July 25th, 1948, the members met in the basement of the new building. The sanctuary was completed in November of the same year. Dedication services were held with Dr. Elliott, President of Gardner Webb College as speaker. The parsonage was built in 1956. The missions program expanded in the 1960's, and the need to add the Educational Building was apparent. By 1965, plans had been drawn by Carl Glover and submitted to the church for approval. Work began immediately and was completed in 1966. Mr. Victor Young sold several acres of land to the church for parking, recreation, and cemetery expansion. 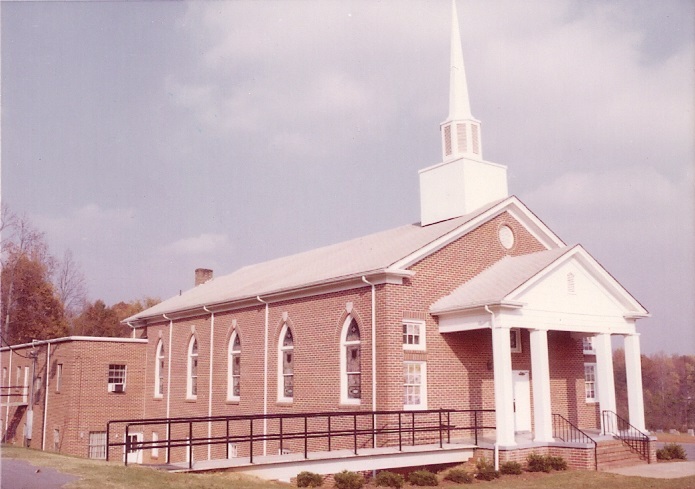 In 1967, the church basement was remodeled for use of the adult departments in Sunday School and Training Union classes. 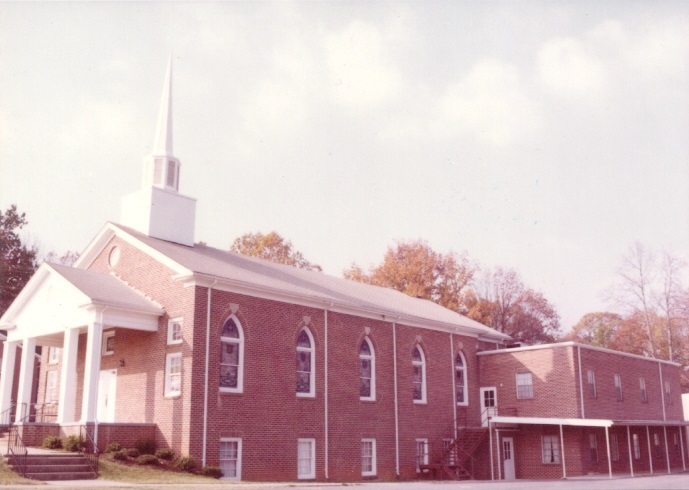 In the 1970's, plans drawn by Dean Baker and Carl Glover were used in the remodeling of the Sanctuary. They included a new ceiling, carpet, remodeling of the balcony, a new organ and piano, a new steeple, and new air conditioning. Additional space was also added to the parsonage and a fellowship building was constructed. In the years that followed, the Carol Davis playground was constructed and the parsonage was converted to a youth center to meet the growing needs of the children and youth programs. Over the years, times have changed and people have changed, but we can rejoice in the fact that the same God our founders loved and served is the same God that we serve today. He has not changed. As we look back to our beginning, let us also look to the future and to a more dedicated and committed life in Jesus.